More and more sophisticated cyber attacks have rendered antivirus-type security solutions useless. While the majority of antivirus products offer a well-put protection system against various types of malware, they become pointless in the face of targeted attacks from hackers. When that happens, Internet Security-type solutions come to save the day. These deliver complete premium protection from different types of cyber threats, like spam, hacking, spyware, as well as phishing protection. Since they come with many more features than your regular antivirus software, the price of premium PC security solutions is usually high. However, if you want to buy something like that, you need to consider its advantages. 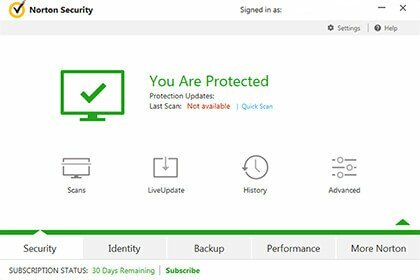 Before we reveal the best Internet Security solution of 2019 for Windows 7, 8 and 10, we’ll tell you when to even consider buying this kind of premium PC security solution instead of a regular top-rated and award-winning antivirus. Choosing antivirus software may be difficult if you’re a home user. Why? Because security solutions labeled as “virus removal guarantee” are hard to test and compare by a regular user, especially when the process requires a certain amount of time before reaching clear conclusions. If you are a home user, this article on the best security products might help you. If you own a laptop or a PC with a webcam attached to it. The illegal use of the latter is no longer a secret for hackers. To prevent potential issues generated by such an attack, it is recommended to have a top-rated Internet Security solution. Use a security suite with protection against illegal use of the webcam. One of the most frequent questions regarding security software applications has to do with the differences between an antivirus and an Internet security solution. Usually, security software manufacturers create applications in a modular way. Different protection modules are either integrated or not in the suites these manufacturers offer. The rules we’ll talk about aren’t found universally. Some manufacturers of award-winning antivirus solutions prefer to group the protection modules in other ways. Generally, an antivirus keeps you safe from viruses, files infected with malware and websites affected by different types of threats. The protection offered by an award-winning antivirus can be resumed to the three big types of threats mentioned earlier. The table below shows a comparative analysis we did between antivirus premium protection systems and Internet Security ones. The comparison was performed by looking at the most frequent features integrated in these security products. Sometimes, some modules are also to be found in the best antivirus suites, even if our table doesn’t show this. Attention! These modules aren’t available with every Internet Security solutions out there. They can vary depending on the manufacturer. Make sure to choose the security solution that works best for you when you decide to buy one. In case you decide to buy or test an Internet Security solution, visit its manufacturer’s website and check the tables with comparative features. These show every capability each security suite has. We also recommend checking the differences between these manufacturers’ antivirus software versions and Internet Security versions. Some of them have antivirus solutions with multiple interesting features. Remember this and don’t necessarily rush into buying one Internet Security solution over the other. First, check whether or not the antivirus suites deliver the protection you as a user actually need. For instance, if you don’t have kids, you will never require something with parental control. Should you not have a webcam attached to your PC, the webcam protection options a security solution suite offers are pointless. Just as in the case of the comparative analysis of antivirus solutions, identifying the best Internet Security suites took quite long. We tested well-known security solutions and the ones created by less known software manufacturers. Security companies have already launched version 2019 of their applications. The latter have already been available ever since the middle of 2018.
application stability and good system performance impact. Cloud Integration – a large number of scans that require hardware resources are processed in the cloud so that the speed of your PC isn’t affected. Safepay – online transactions will be so much safer with this module. It features a virtual keyboard that you must use whenever you type sensitive data, e.g. passwords. A couple of third-party independent labs awarded this product top-notch scores. We did, too. Here are the advantages of the Bitdefender Internet Security 2019: very easy configuration, excellent scanning speed and minimal impact on system performance. Bitdefender offer the best Internet Security solution we tested. This top rated security suite has an excellent price for its features: only $34.99 for up to three devices. You shouldn’t miss out on such a good deal. 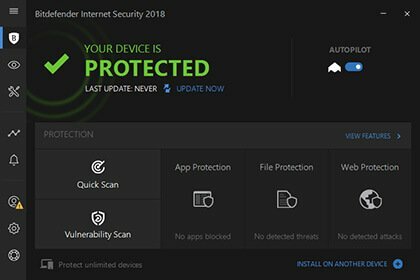 If you want extended anti-theft protection for your computer, the Bitdefender Total Security version is what you need. The new module offers the possibility to remotely access any stolen or lost PC when the latter is connected to the Internet. The application can be found here ($39.99 / 5 devices – 50% discount). ransomware special protection, virus removal guarantee, and protection from spyware applications. Some of the advantages of this suite are its excellent security, stability, great scanning speed and an easy to perform configuration. Norton Security Deluxe is an editors’ choice for users who want to protect their computer and personal data against destruction or intrusion. For only $39.99 for five devices (PC / Windows XP, Vista, 7, 8, 8.1 and 10 / Mac), you can be sure your vital information is kept safe from every kind of cyber attack. Buy and install this security product knowing that it will take care of your device better than other options. compatibility with PC and Mac platforms. 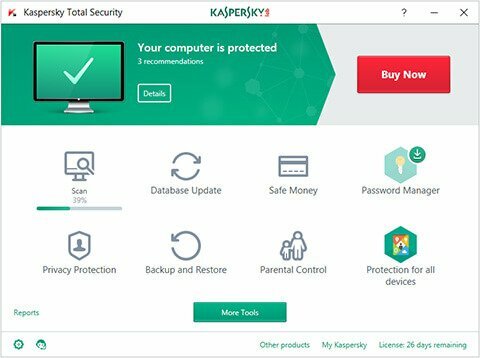 Here’s a short list of the advantages offered by the Kaspersky security premium suite: one of the best anti-malware protection from the market, the possibility of advanced configuration, and detailed reports of identified problems. The Kaspersky Internet Security 2019 has an excellent price when we think about its capabilities: for $39.99 you can benefit from complete protection against various cyber threats. Safe kids – a module that lets kids explore and understand the online world. The Kaspersky Total Security 2019 is available here at an excellent price for its capabilities. You can always bet on it to provide the security you need for your devices. Buy it now and you’ll see for yourself. Having already performed tests using the new McAfee Antivirus, the expectations we had about the company’s Internet Security solution were sky high. 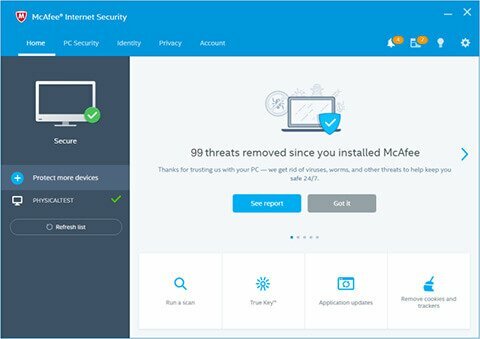 After several days of testing, we can finally say that the new McAfee Internet Security 2019 exceeded expectations. Not only that, but it made us want to install it on our home computers, too. antispam protection – compatible with every important email client: Microsoft Outlook, Thunderbird, Netscape, IncrediMail and Shuriken. During our tests, the antispam module performed spotlessly. The rate of detection and blocking of spam is excellent. If you’re dealing with unsolicited emails, the McAfee Internet Security is a great choice. The module is compatible with the POP3, IMAP/POP3 and MAPI standards. parental control – a very useful feature if you want your kids to use a computer. This module comes with a series of features meant to remove dangers associated to opening unwanted content by children. Here are some of them: age-appropriate website filtering, filter list (malicious URL blocking, aka no access to certain websites) and online schedule (putting a limit to how much time kids should spend online). We performed several tests using the parental control module and results were very good. The settings that come with it can be password-protected to make sure rules aren’t broken by your kids if they want to change settings. True Key identity manager – offers the possibility to create a list of known devices. Access to them is possible via technologies such as FingerPrint authentication, Face Recognition or Multi-device authentication. The technology is developed by Microsoft and delivered by McAfee. It’s integrated in the Internet Security application. The latest McAfee Internet Security features significant improvements. The scanning speed has increased and the computer’s system performance impact has decreased. If you’re looking for excellent security against cyber attacks and spam as well as parental control, the Internet Security from McAfee is one of your best choices. The application can be yours for $59.99 and it’s available here. Rest assured that it’s great value for its price and you can be sure that it won’t leave your device’s safety high and dry. After reviewing the Antivirus option from Avast, we moved on to their Internet Security 2019 version. We had a pleasant surprise and it was all due to the improvements and additional modules we found. 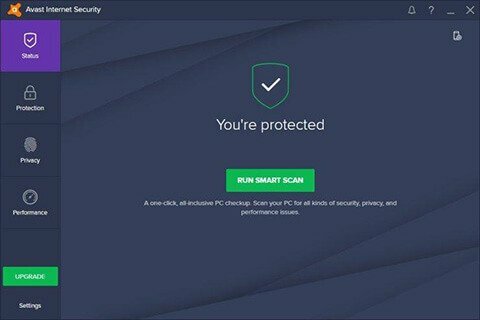 Avast have once again outdone themselves with their most recent security suite. safe browsing – dedicated to finding and blocking phishing-type threats and websites that try to steal access credentials to different accounts (bank account, online shopping accounts) in real time. This module has an more than good system performance. It’s able to block fake sites that steal access data. Sandbox – allows safe testing of potentially dangerous applications. If you want to open an application coming from an unsafe location or without an electronic signature, the Avast Internet Security is here to help. The new feature lets you use the application safely in a protected location and stops a possible infection from happening. The applications are first opened in Sandbox. Then, if everything is fine, you’ll be able to start installing and using them. firewall – can block hackers from accessing your computer’s resources and your personal data. This particular module is easy to set up and it offers advanced settings. We tested the firewall in a controlled environment during a hacking-type attack. The featured did its job very well. The module blocked the threat several seconds from its initiation and the computer we used it on was fully protected. antispam and antiphishing – can identify and block phishing-type threats coming via an email. The module is also able to block unsolicited spam messages. We did some tests to see if the antispam feature worked as it should. Our antiphishing test revealed excellent scores. The new Avast Internet Security has a very good price for its features. For only $47.99 you can enjoy excellent protection from viruses, phishing attacks and threats coming from hackers. Firewall – we tested it to see whether it could block hacking-type cyber attacks or not. We were pleasantly surprised by its configuration features and the way it managed to resist in the face of attack simulations aimed at the computers we used to test it with. Exploit Blocker – made to detect attacks coming from hackers who want to block and use encryption techniques on your computer’s data. In terms of protection, this tool lets you use the Internet by offering a hardened secure browser, it protects Java-based apps, and more. Ransomware Shield means ransomware special protection and protection from lockscreen-type threats. Because we couldn’t have access to certain ransom-type tools, we weren’t able to test this module and see how it behaved in the case of a real attack. However, the way it works is similar to other applications that keep your mobile device safe from ransomware. Anti-Botnet offers protection against bots that spread via computer networks and use them to either send spam or attack other networks. ESET Live Grid is a feature that hasn’t been used by other Internet Security manufacturers before. During scanning, files are automatically compared to certain samples already available in the database of ESET labs. The result consists of improved scanning speed. Also, the files that are automatically identified as safe aren’t scanned anymore. Banking & Payment Protection – ESET introduces this new module in its Internet Security 2019 suite to offer protection against possible financial loss caused by hackers during online transactions. We tested the module made available by ESET and found the following: results and protection were top-notch. Parental Control offers advanced features that protect children from accessing resources which are dangerous for their age. The interface is easy to use and the filtering of results is excellent every single time. Webcam Protection protects users against illegal accessing of their laptops’ or computers’ webcams. Anti-Theft Optimization tools improve the way you interact with your PC’s interface when you want to configure its security settings. Laptop Activity Watch is a new option that’s been integrated into the 2019 version of the ESET Internet Security. Once enabled, the feature allows for the collecting of images captured by a stolen computer’s or laptop’s webcam as soon as the device is connected to the Internet. The data obtained thus can be accessed through the interface you’ll see after you click my.eset.com. 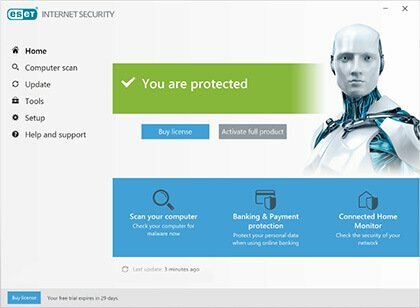 The ESET Internet Security 2019 comes with lots of excellent features, an easy-to-use interface, and Internet security complete protection against a wide range of cyber threats. You can buy this top rated security premium protection here for only $49.99. Yes, it’s a really unbeatable price for the superior quality this product offers. If you want a version that includes password management and encryption of sensitive data, the ESET Smart Security Premium 2019 is the way to go. You can get it here for only $59.99, which is a great price for its features. Plus, you get superior protection in the long run. We can’t have enough of that, can we? Panda Internet Security 2019 was one of the most pleasant surprises when we decided to make a list of the best security solutions for 2019. It may not sound as familiar as its more popular rivals, but you can never go wrong with a Panda product. Parental Control – one of the easiest modules to use if we compare it to other security products we tested for this Internet security review. With its friendly user-interface, this feature offers excellent configuration options. We took it for a spin to see just how efficient it was when it came to malicious URL blocking, aka websites that included information not suited for kids. Each of the results we got was simply great. Data Shield is the equivalent of banking and payment protection solutions offered by all the other security suites we looked at for this post. We tested the efficiency of this module and results were beyond expectations. If you’re afraid of becoming a victim of attacks that target your online transactions, the Panda Internet Security 2019 is one of the options we heartily recommend to stay safe. Backup is a feature that offers the possibility to save your personal data and restore it safely from your Cloud or a local hard drive, no matter the state of your PC. This module lets you create backups either locally or via the Cloud. The Panda Internet Security manages these backups and data restoration if problems arise with the computer containing the extracted data. 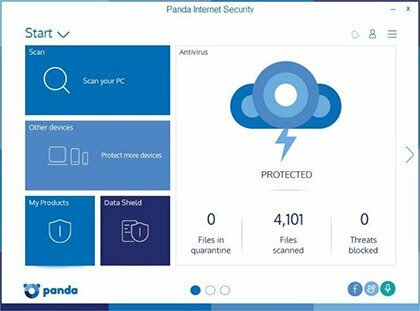 The Panda Internet Security 2019 can be downloaded for one PC for only $29.99 from here. Go for it, you won’t be disappointed. Compatibility: Windows XP (SP 2), Vista, 7, 8, 8.1 and 10. WebCam protection – like its name says, this feature can block every hacker’s attempt at accessing your laptop’s or PC’s webcam. 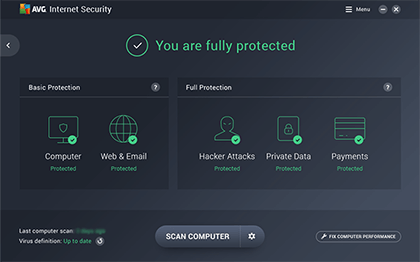 If you’re looking for maximum protection against such a threat, the AVG security suite is one of the best editors’ choice of 2019. Ransomware protection – if you’re afraid of a cyber attack that could encrypt all your computer’s data and make it impossible to retrieve unless you pay a ransom, the ransomware protection feature will put your fears away. Firewall includes protection from hackers’ attacks. We tested this module to see whether or not it was easy to work with and what kind of protection it offered in the case of brute-force attacks. Results were good: the firewall could withstand even the most complex threats. File shredder helps you permanently delete certain files. We performed several tests to verify this feature’s efficiency and registered great results. The latter are similar to the better-positioned Internet Security suites for 2019. This product is a feature-packed winner. If you’re interested in a full Internet security review of the AVG Internet Security 2019 and all its features, you can find one here. AVG’s security effective suite receives excellent scores and has a great price for the features it offers. For only $55.99, you can enjoy top-rated protection for an unlimited number of devices. It’s quite the bargain, isn’t it? The AVG Internet Security 2019 is not to be missed if you want the best for your device(s). The number of cyber attacks continues to grow. The latest threats targeted not only home users, but also companies and government agencies. Choosing a top rated Internet Security software solution is one of the smartest investments if you wish to protect your computer’s data. In case you want to benefit from total protection against cyber attacks, select one of the solutions we added to our list of best Internet Security suites for 2019. If you want a hardened secure browser to protect you when you’re online, these are your top options.